Jenny Freilach received the 2015 Thomas Learn by Doing Scholarship for her work on an exhibit covering the cinema history of San Luis Obispo, which will be displayed in City Hall. Freilach developed the exhibit as part of her HIST 467 internship with the History Center of San Luis Obispo County. This project involved first researching and proposing multiple alternatives as exhibit themes, a task which brought her into contact with a range of community interests and organizations, and intensive searching through the History Center’s archives. Freilach developed proposals for two exhibits: one on the history of San Luis Obispo’s farmers market and the other on the region’s history tied to motion pictures. A committee of city officials and local historians selected the latter proposal but also accepted the farmers market exhibit for a future date and space. To develop the cinema history exhibit beyond the proposal, Freilach worked with the Guadalupe-Nipomo Dunes Center, San Luis Obispo Tribune newspaper, Palm Theatre International Film Festival organizers, film scholars, and a number of other experts and stakeholders. She gathered photographs and artifacts and wrote captions for the display. 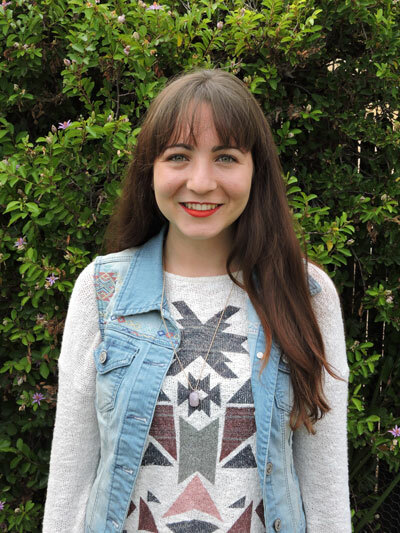 Freilach embodies Cal Poly’s Learn by Doing philosophy in other projects as well. She served as an editor for and contributor to La Vista, a history journal about the Central Coast. And she will work during the upcoming year as an assistant in Cal Poly’s University Archives & Special Collections.